What Are the Competency Standards? How do I Check Against the Competency Standards? Why are the Competency Standards Sometimes Referred to as the ANMC National Competency Standards? The National Competency Standards for nurses and midwives are the core competency standards by which your performance is assessed to obtain and retain your licence to practice as a nurse or midwife in Australia. Within the CPD context, these core competency standards provide you with the framework for assessing your competence and are used by the NMBA to assess competence as part of the annual renewal of licence process. ...the professional, legal and ethical responsibilities which require demonstration of a satisfactory knowledge base, accountability for practice, functioning in accordance with legislation affecting nursing and healthcare, and the protection of individual and group rights. The competency standards consist of domains, competency units, elements and cues (midwifery only). Represents a major function/functional area in a nursing or midwifery context, corresponding to a stand-alone task which can be performed by the individual. Can be identified on observation key generic examples of competent performance. They are neither comprehensive nor exhaustive. First, download the competency standards from the NMBA website. Read through them and at the same time rate yourself against each of the elements or cues. Use the rating scale of 0 = not competent and 5 = expert. Try to identity a learning need in each competency unit and add it to a list. The next step is to prioritise your learning needs. If you think you already know what your learning needs are, then you will need to identify the relevant competency unit or elements of the competency unit that you will be addressing. In the next chapter you will learn how to write your learning plan. Time for a short history lesson on this development of the profession. In the 1980s the nurse registering authorities came together to develop a national set of competency standards in advance of the move of nurse education into the higher education sector. They were adopted by the nurse registering authorities in the early 1990s. This was followed by the establishment of the ANC and the competency standards became known as the ANCI National Competency Standards. Some visions were made during this time. The ANC became the ANMC in 2004. Competency standards for Nurse Practitioners and Midwives were also developed. In 2010 with the establishment of national registration for health professionals, this role of the ANMC ceased and the Standards were handed to the NMBA. The ANMC became the accrediting body (ANMAC) for nursing courses leading to registration or endorsement. 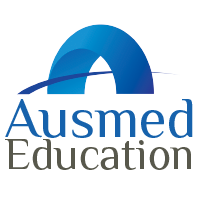 How do I unlock Ausmed Pro in the app?